Speaking of delightful French gastronomy… while I was in France in January my after-dinner drink was always verveine, which I had never heard of before but which seems quite popular there as a non-alcoholic digestif. I had no idea what I was drinking until I got back to New York. 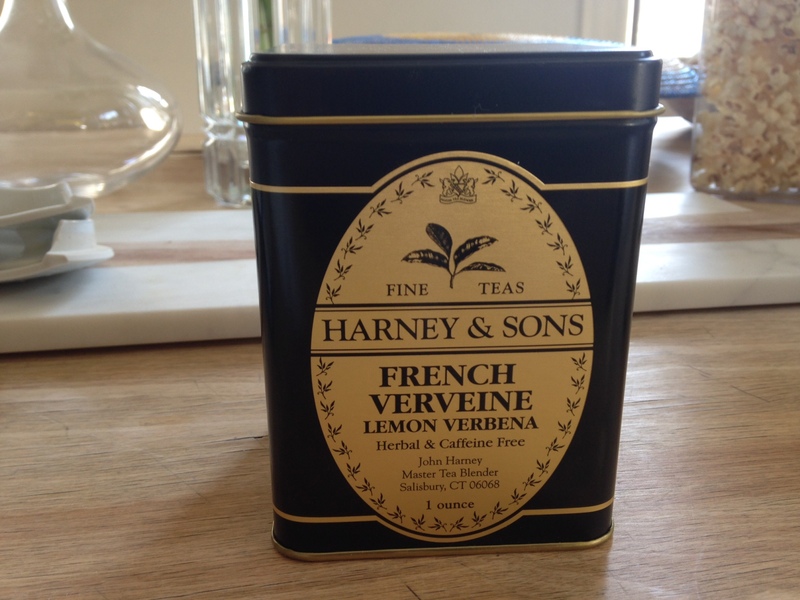 I Googled a bit and realized that verveine is lemon verbena tea. Hard to come by in the States – there are lots of lemon verbena-scented cleaning products but very few lemon verbena-flavored edibles. Something about the fact that my tea is in the form of whole dried leaves as opposed to shredded up bits really appeals to me. The plucked from nature-ness adds to its soothing quality. I’ve been making a teapotful on evenings when I get home with enough time to pee seventeen times before bed. On later nights I make just a little cup, which is still enough to transport me back to vacation and across the ocean. I love how that works. 1. In English, ‘caffeine’ is the word for the stimulant in both coffee and tea. In French, caféine is the word for caffeine in coffee and théine is the word for caffeine in tea. 2. The word thé seems to be used almost exclusively for caffeinated tea while tisane is used when referring to herbal tea. So true ❤ I like verveine too. As an alternative, I enjoy also a cup of "tilleul" or "camomille" before going to bed!